The Institute of Paleobiology has its roots in the Zakład Paleozoologii, established as a research institution of the Polish Academy of Sciences in 1952 for its member Roman Kozłowski in recognition of his scientific achievements, and then organized by him. Roman Kozłowski was then professor of paleontology at the University of Warsaw and owed his international reputation mostly to disclosing the affinities of graptolites. 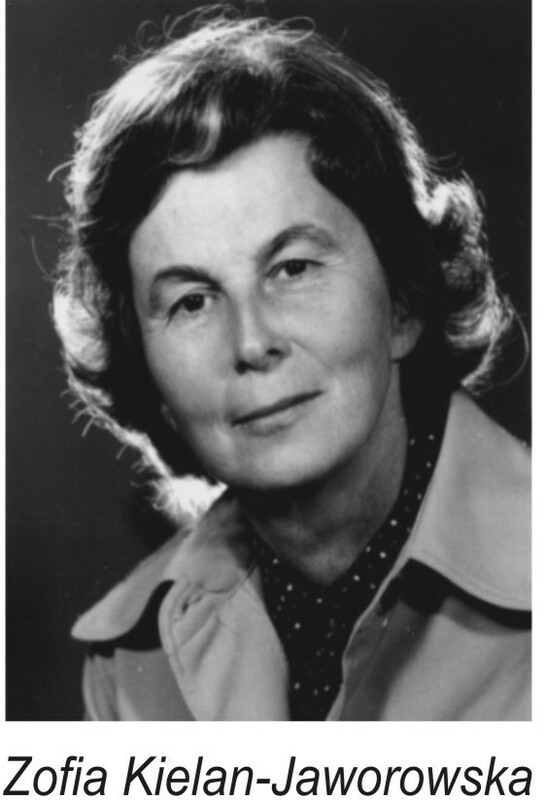 His successor as the Institute’s director, Zofia Kielan-Jaworowska, strengthened the international reputation of her team with a series of very successful expeditions to the Gobi Desert. Now the Institute is known also as the publisher of the international quarterly journal Acta Palaeontologica Polonica. The Institute was formally created on 18 December 1952 as a branch (at that time Zakład Paleozoologii PAN) of the newly organized Polish Academy of Sciences, which arose from the fusion of formerly independent scientific societies and foundations. However, it was only after Roman Kozłowski, then the professor of paleontology of Warsaw University, accepted in 1954 the institute’s directorship that the Institute emerged from the University’s chair of paleontology. Since the very inception of the institute, its research has had strong a biological tendency. The professional perfection and intellectual openness of Kozłowski were of crucial importance in developing the basic features of the Warsaw school of paleontology during the first few years of the Institute. Scientific activities at the paleontological institutions of the University and the Academy were completely unified at that time and, except for different sources of research funding for particular students, there actually was a single school of paleontology in Warsaw, the one led by Kozłowski. The Institute's affiliation to the Academy allowed the assembly of a much larger team of paleontologists than if university teaching were their main duty. 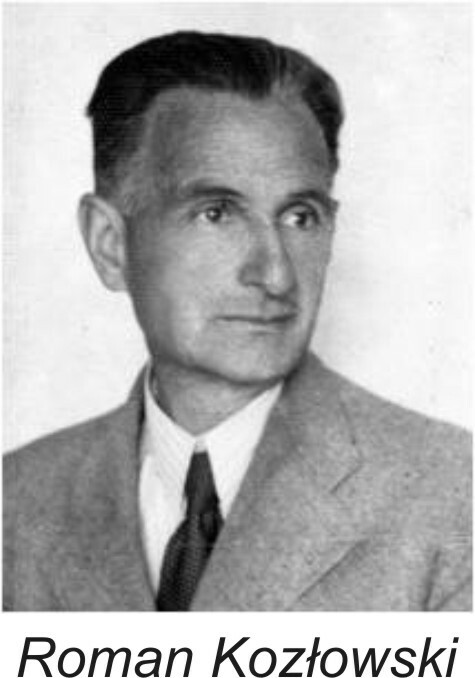 It is noteworthy that, despite strong political pressure, Polish paleontology was never involved in ‘Lysenkoism’ and not a single paleontological article condemning the alleged ‘idealism’ of Western genetics or evolutionary theory has been published, partly due to Kozlowski’s scientific and moral stature. When political conditions improved after 1956, this fact facilitated re-establishing ties with scientific institutions abroad. Ironically, the only paper in Russian ever published in the Institute journal, was designed as a message to Russian colleagues in 1956 that the proper alternative to the naïve ‘evolutionism’ enforced by the Communist Party in the Soviet Union is the Neo-Darwinian approach. As a part of newly emerging cooperation with Russian paleontology, Aleksey Rozanov and Vladimir Missarzhevsky visited Warsaw as the first young paleontologists allowed to travel to Poland, to master their seminal ideas on the Early Cambrian ‘small shelly fossils’ with help from Roman Kozłowski. Roman Kozłowski used his influential position in Polish science to forward the proposal for Polish-Mogolian Paleontological Expeditions to the Gobi Desert in the early 1960s. This enabled the organization of a series of eight expeditions, all but one led by Zofia Kielan-Jaworowska. 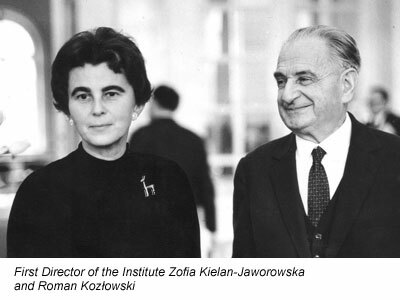 After Roman Kozłowski retired on 31 December 1960, she took the position of Director of the Institute and kept it for 22 years (1961–1982). The expeditions to Mongolia opened a new perspective for the Institute. A large collection of Late Cretaceous mammals, reptiles, amphibians, birds, and other fossils was gathered. The work on these materials conducted by the Institute’s employees, as well as by colleagues from other paleontological centers in Poland and abroad, led to the publication of ten volumes of Results of the Polish-Mongolian Paleontological Expeditions in the years 1969–1984, comprising all together 64 papers. Reports from the expeditions and the most general results of research were also published in high profile international journals, including papers in Nature and a review in American Scientist. Of special importance are the results of osteological studies on primitive mammals, as well as dinosaurs. 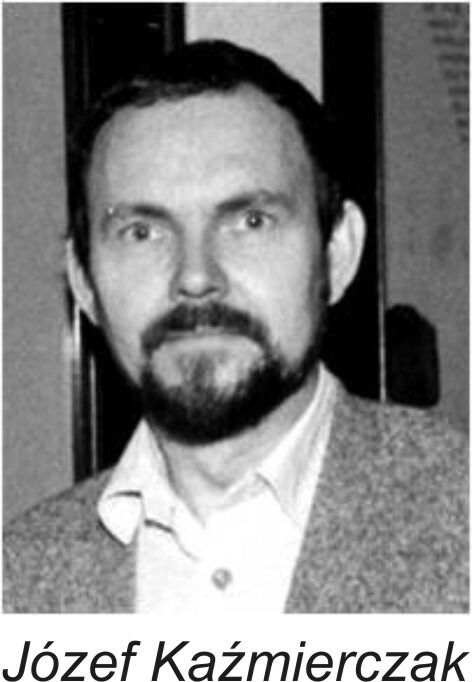 Halszka Osmólska, who specialized in dinosaurs, headed the Institute for six years (1983-1988) after Zofia Kielan-Jaworowska retired and moved to Oslo University. Vertebrates have been studied by members of the Institute since 1955, when Julian Kulczycki published his monograph on the mammoth and started to work on the Early Devonian porolepidid fish, offering crucial information for understanding the origin of tetrapods. In fact, internationally recognized vertebrate paleontology has its roots in Warsaw as deep as the times when Tsarist Russia ruled eastern Poland. In 1896 the chair of geology was established at the Imperatorial Warsaw University for Vladimir Amalitsky. His famous expeditions to the locality Sokolki on the Northern Dvina River resulted in the assembly at the University (later displaced to the Warsaw Polytechnical Institute) a great collection of Permian pareiasaurs and mammal-like reptiles. Vladimir Amalitsky is infamous in Poland owing to his 1905 proposal to move the Warsaw University to a Russian city to prevent teaching in the Polish language (after an uprising in 1863, only Russian was allowed in Polish schools). No wonder that any suggestion to include him in the pedigree of the Institute was for a long time strongly resisted. Vertebrate paleontology is still the leading topic of research in the Institute, although now the fossil material comes mostly from recently discovered sites in southern Poland: the Early Triassic bone breccia from Czatkowice and several Late Triassic localities, the most widely known being Krasiejów. Numerous papers and monographs have already been published on Triassic continental animals. Roman Kozłowski had gained his international reputation mostly owing to his work on graptolites. He proved they were relatives of recent pterobranch hemichordates (not cnidarians, as believed earlier). This line of biologically oriented research on these colonial animals was continued by Kozłowski’s pupil Adam Urbanek, who published several important papers on the evolution of Silurian graptolites, hypothesizing on mechanisms of regulation of colony development in clonal organisms. He succeeded Roman Kozłowski at the university chair and, after joining the Institute, he was its Director in 1989–1991. There were some attempts to continue research on clonal organisms with bryozoans as model organisms. Taxonomy and graptolite-based biostratigraphy is still studied at the Institute. Since some employees of the Institute were more and more deeply involved in research in Spitsbergen and Antarctica, a formal polar research project has been established. Paleontological expeditions were undertaken to the Hornsund region of Spitsbergen in 1974, 1975, 1976, and 1979, as well as to the South Shetland Islands area in 1978, 1980, 1985, 1987, 1990, and 1991. In both cases, permanent stations maintained there by the Polish Academy of Sciences were used. 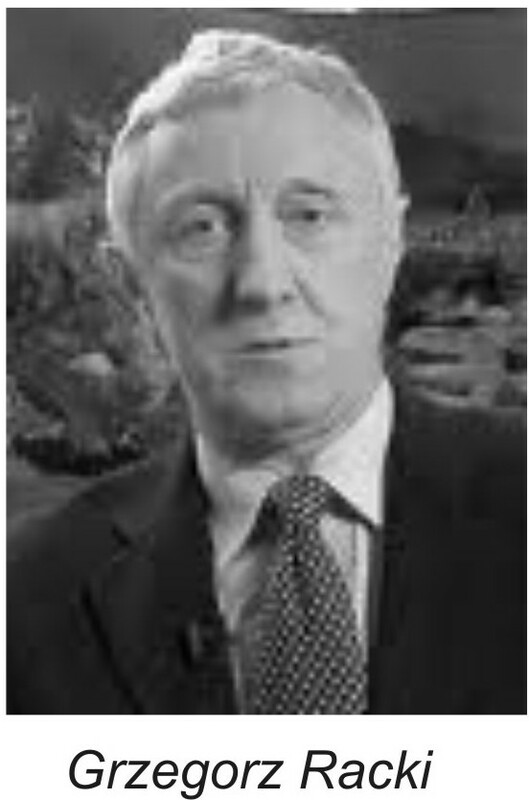 Hubert Szaniawski, Director of the Institute in 1992-2006 and Andrzej Gaździcki had leading positions in this activity. Now Wojciech Majewski continues paleontological research in the Antarctic. Roman Kozłowski developed a basis of paleontological studies in Poland, which was aimed at description, according to the highest standards of paleontological taxonomy, of the main fossil groups found in the country. This project has resulted in publication of several large monographs and many papers of internationally acknowledged value. 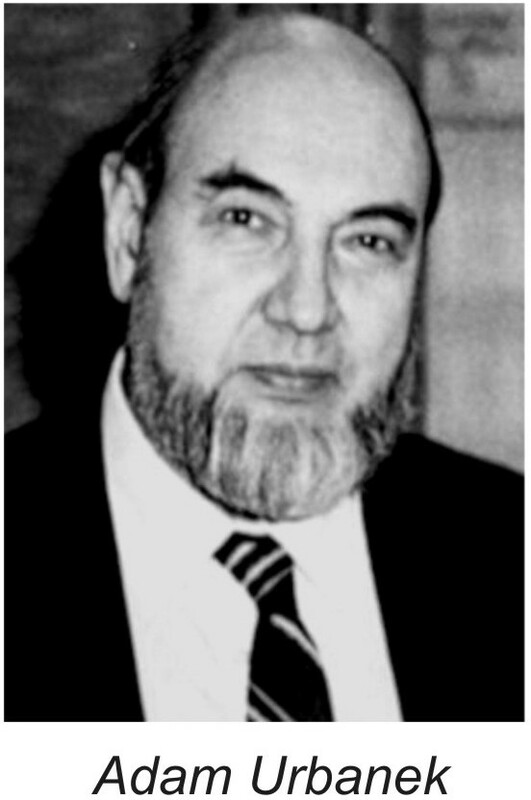 Among works addressing most general biological problems were those of 1963 on sexual dimorphism in ammonites by Henryk Makowski (employed for half time at the Institute). Some workers gradually departed from the descriptive taxonomic approach. Microstructural and geochemical studies were the first steps in this direction for Cyprian Kulicki, who developed SEM techniques of microstructural research on exquisitely preserved ammonites from the famous locality Łuków. Recently the microstructural studies conducted by Jarosław Stolarski, also with the atomic force microscope, gave well-published (Science) results. 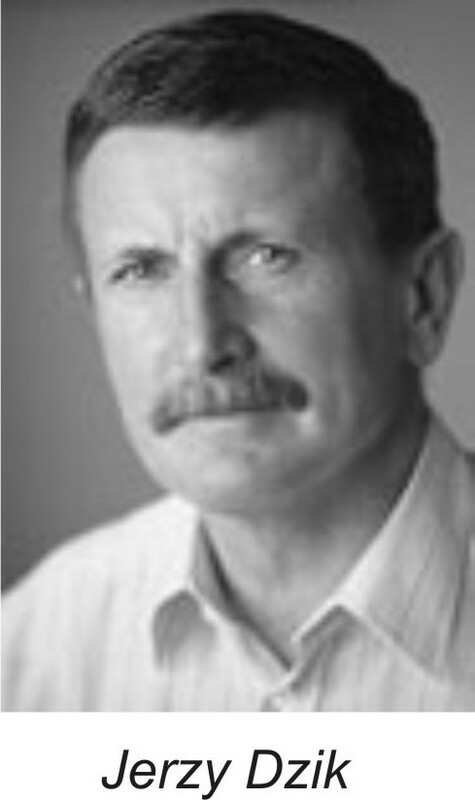 Józef Kaźmierczak published several widely discussed hypotheses on various aspects of carbonate biomineralization, including the Soda Ocean Hypothesis forwarded together with his German collaborators, in high profile journals (Science, Nature). 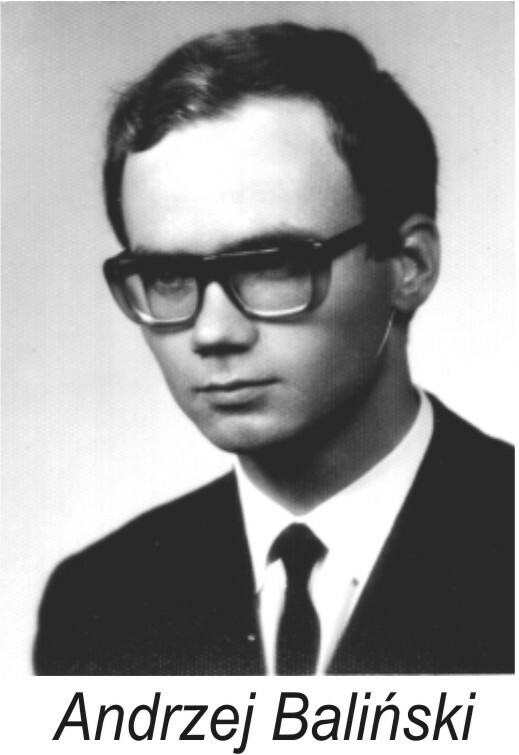 He was the main promoter of the move to change the name of Zakład Paleozoologii to Zakład Paleobiologii in 1977. 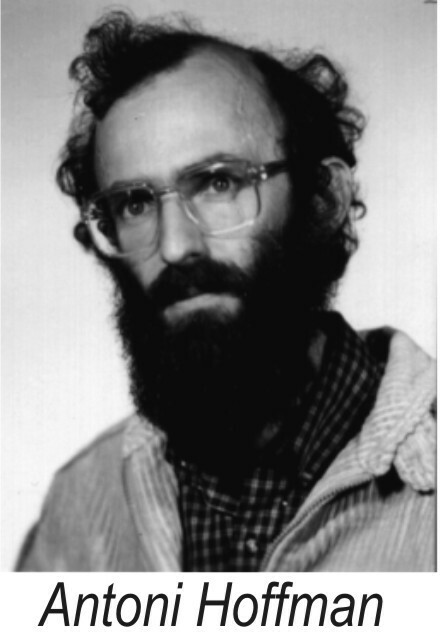 Theorizing in the Institute received its greatest impetus from the activity Antoni Hoffman (1950–1992). His seminal paper in Paleobiology on the lack of integration within ecosystems had a profound influence on the development of modern paleoecology. In 1986 he returned to Poland, from his six-years political emigration to Germany and the United States, to be employed at the Institute by Halszka Osmólska (who risked her job in acting against the Communist Party recommendation). The number of employees of the Institute increased from three in 1952 to about fifty in the 1970s and retains this number to the present. Most members received their doctoral degrees while working at the institute. They usually graduated from Warsaw University. The age structure of the Institute’s staff was initially rather uniform, and gaps between age guilds results in some organizational problems, but it has become reasonably balanced now. The Scientific Council of the Institute has been entitled since 1977 to grant PhD degrees. Since 1990 its official name is Instytut Paleobiologii and since 1991 the Council can grant also habilitations (Doctor of Sciences) in paleontology. Paleontology in Warsaw has always had a strong biological inclination (ironically, both that by Amalitsky and Kozłowski) but ties with geology were also close. These connections, especially regarding geochemistry, were strengthened even more by Grzegorz Racki, Director of the Institute in years 2006-2010. There are 21 scientists and 12 Ph.D. students at the Institute and the technical and administrative staff of 22. There is complete freedom in choice of research topics in the Institute; opinions are sometimes expressed that this freedom goes a bit too far. The Institute easily adapted in the 1990s to the system of financing by government research grants, initially distributed by the Committee of Scientific Research (KBN) and now by the Ministry of Science and Higher Education. The Institute of Paleobiology is rated among the leading scientific institutes in Poland. This is a result of the relatively high quality and numerous publications by the members of the Institute. During World War II the collections of paleontological literature at Warsaw University and in the Geological Survey were destroyed. A collection of basic publications therefore had to be assembled from scratch. Initially, it was the private library of Roman Kozłowski that served as the major source of scientific literature for paleontologists in Warsaw. He subsequently transferred his books and journals to the Institute, and the core of the Library was established in this way. The book collection grew steadily, owing mainly to gifts from our colleagues from abroad. We owe much to the generosity of our friends from Western scientific institutions. After political tensions relaxed in the mid-1950s and international contacts were rebuilt, a new policy could be implemented. An exchange program of publications was established in 1962, and the Institute has received consequently paleontological serials and periodicals. When stock was taken in 1986, the library held 10 854 volumes of books and separate reprints and 27 006 volumes of periodicals. Another turn of fortune is marked by the year 1989 and following political and economical changes in Poland. The Institute received financial independence and owing to governmental grants it is now possible to keep library acquisitions at a reasonable level. The library of the Institute houses currently the largest collection of paleontological books and periodicals in Poland. Of course, we depend more and more on electronic versions of scientific literature and a project of making available all the Polish paleontological works in the Internet was already established [Archive of Polish Paleontology]. However, because of the long life of paleontological papers, we are concerned very much about keeping hard copies of at least descriptive taxonomic works. The first attempt to establish a paleontological serial devoted to ‘paleontography’ of Polish fossils dates back to 1845 when Ludwik Zejszner (spelled Zeuschner in his papers published in German journals), known mostly for his descriptions of ammonites and other fossils from the type Tithonian in the Polish Carpathian, started to publish the Paleontologia Polska with lithographic plates. The condition of science in the part of Poland ruled at that time by Russia was deteriorating, however, and he was not able to continue publication, which stopped after three issues. The next attempt was made in 1913 by Jan Lewiński, whose greatest achievement in paleontology was a monograph (published in France) of fossils coeval to the Tithonian but from central Poland. His Paleontologia Ziem Polskich did not survive World War I and only two volumes were published. The Palaeontologia Polonica established by Roman Kozłowski in 1929 is, in a sense, a continuation of the latter serial. Owing to Kozłowski’s reputation for professional excellence, concerning also editing and illustrating paleontological articles (his Bolivian monograph in Annales de Paléontologie was remarkable in this respect), he was able to found a serial publication competitive with the leading German and Anglo-Saxon periodicals. Fortunately, Kozłowski unlike many other Polish academics survived World War II and was able to continue his work. Sixty volumes have been published up to 2011, among them Kozłowski’s classic monographs of the Early Devonian brachiopods from Podolia and the Tremadoc graptolites extracted from chalcedonites by means of hydrofluoric acid, and also Henryk Makowski’s monographic presentation of the problem of sexual dimorphism in ammonites. The supply of large monographs has decreased in recent times because of the ways in which scientific research is evaluated by funding agencies, and successive volumes of Palaeontologia Polonica are not published every year. The quarterly Acta Palaeontologica Polonica emerged in 1956 from the Acta Geologica Polonica, which first appeared in 1950 and used to contain many papers authored by employees of the Institute. Because the geological journal was not able to afford the increasing number of paleontological articles, Roman Kozłowski, a member of the Editorial Board of the Acta Geologica Polonica, decided to establish a sister journal devoted exclusively to paleontological topics. Initially, papers in Polish and French (one in Russian) had been accepted along with those in English, but since more than twenty years English has been practically the exclusive language of the Acta Palaeontologica Polonica, though brief Polish summaries were for long time added to every paper. The main scope of the journal was descriptive paleontology, though occasionally papers concerning evolutionary problems have also been published. In the early Acta Palaeontologica Polonica, of special interest is a series of papers on physiological explanations of peculiarities in the evolution of astogeny, which were published by Adam Urbanek in the 1960’s. The results of international symposia on graptolites (1978), corals (1980), and terrestrial ecosystems (1983) held at the Institute did also appear in this journal. It was the ambition of the editors to maintain high international standards in both scientific merit and editing. Unfortunately, deterioration of the Polish economy and political isolation of the state resulted in a decrease in submissions to the journal. Owing to the release of governmental control on publications, in 1991 the Institute’s own Publishing Department was established (with Andrzej Baliński as its head) which has allowed us to introduce also high quality printing techniques. 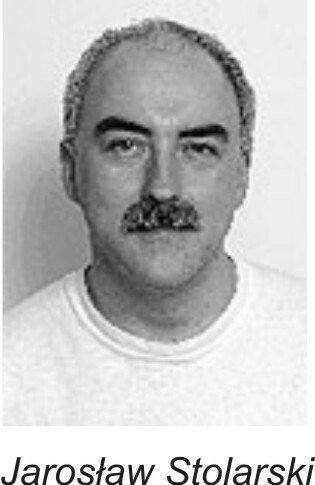 The new editors, Jerzy Dzik [Director of the Institute since 2011] in Warsaw and co-opted by him Matthew Nitecki in Chicago, attempted to re-establish the reputation of Acta Palaeontologica Polonica as an international journal. This was completed in 1996, with indexing the journal by the Institute of Scientific Information (ISI) in Philadelphia. 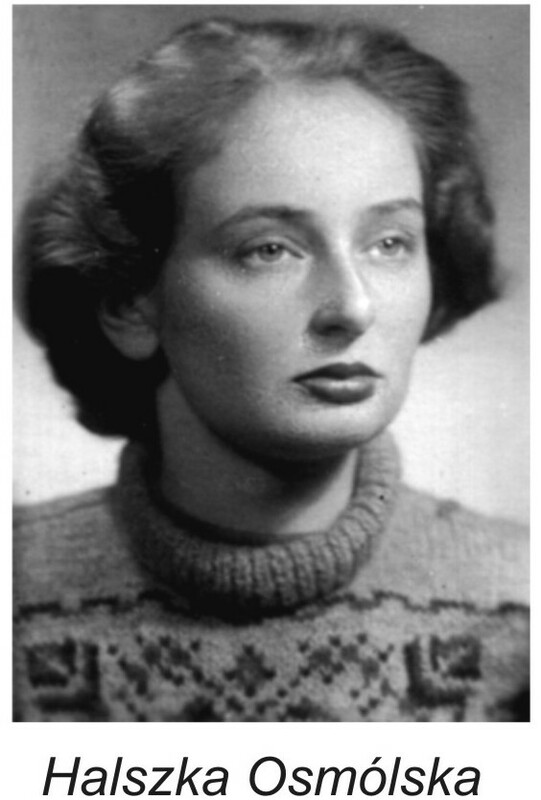 After achieving his goal, Jerzy Dzik transferred editorship to Zofia Kielan-Jaworowska, who meanwhile returned from Oslo to Warsaw. She, together with Richard Cifelli and Jarosław Stolarski further strengthened the journal so that in its Impact Factor it is now 11th among 48 paleontological journals listed by ISI. In 2011 Michael Benton joined Jarosław Stolarski as the Editor. In 1915 the renowned collection of Vladimir Amalitsky was evacuated from Warsaw to Russia and eventually provided the basis for establishing the Paleontological Institute in Moscow. Invertebrate fossils under the care of Dymitr Sobolew (for a long time the assistant of Amalitsky) have since that time been in Kharkov (now Ukraine). Fossil collections in Warsaw between the World Wars were gathered at the University and by the geological survey. Almost all of these collections were destroyed in 1939 (Kozłowski’s chair of paleontology) and 1944 (the State Geological Institute). After the war, geologically oriented collections and exhibitions of fossils were re-established by the State Geological Institute and the newly organized Museum of the Earth (included in the Polish Academy of Sciences). But the paleontological museum activity received its main impetus with the Polish-Mongolian Paleontological Expeditions to the Gobi Desert. In 1968, an exhibition of dinosaurs from the Gobi Desert was prepared by Zofia Kielan-Jaworowska in the Palace of Culture and Science in the center of Warsaw. It existed until 1984, when the room used by paleontologists was requested for purposes of political celebrations. 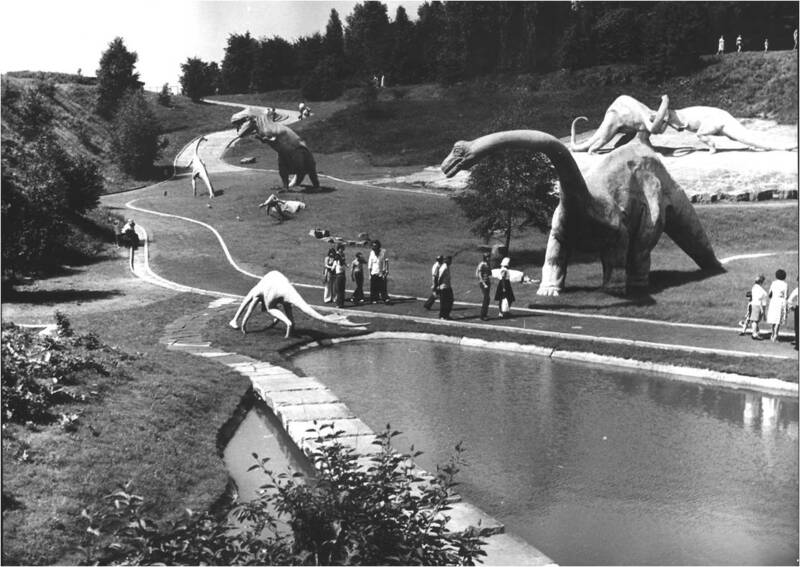 Meanwhile, the first ‘dinopark’ in Poland was opened in 1975 in Chorzów, designed by employees of the Institute. Fortunately for us, in 1976 the Institute of Zoology PAS dropped its museum in the Palace, and it was initially transferred to the Botanical Garden organized by the Academy in Powsin near Warsaw, and then to the Institute of Paleobiology. As a result, since 1985 a paleontological museum has been maintained by the Institute in the Palace of Science and Culture in the center of Warsaw. The present exhibition showing the evolution on land was prepared by Zofia Kielan-Jaworowska prior to her departure for the University of Oslo and rearranged by Jerzy Dzik in 2003. Mounted skeletons of the late Cretaceous dinosaurs, found by our expeditions in the Gobi Desert and life-size restorations of the Late Triassic reptiles and amphibians from Krasiejów in their environment are the most impressive of the exhibits. The Museum, permanently remodeled, is a place for scientific and teaching activity. The institute has helped in the organization of several paleontological museums by local self-governments of various rank (villages of Lisowice and Krasiejów; borough of Ozimek that established another museum at Krasiejów; county of Starachowice) as well as ‘dinoparks’ by private companies. Currently, the Institute promotes re-establishing the National Museum of Natural History in Poland. During almost 60 years there were almost 100 people employed at the Institute. To their knowledge, professional skills, and enthusiasm we owe the present state of Polish paleontology and the Institute itself. Some of them dedicated their whole professional life to the Institute, some were with us briefly but their services to international science generated an influence that will last.